The clock is ticking (Of course it does!). In a few hours, we will all be greeted by the morning sun as we welcome a new day. We’re gonna take a shower, have our breakfast (I wonder what’s gonna be mine tomorrow), and then meet the familiar faces we come to love and hate. No, I don’t hate my students. I actually love them all. LoL. It’s been a routine for the last 7 seven years in Thailand; same province, same school. But tomorrow is going to be quite different. As of this writing, I am both filled with excitement and with a little touch of nervousness. The same feeling I had when former Thai Prime Minister Abhisit Vejjajiva came to visit our project last month. It’s not Abhisit who is going to come and observe the project tomorrow though. 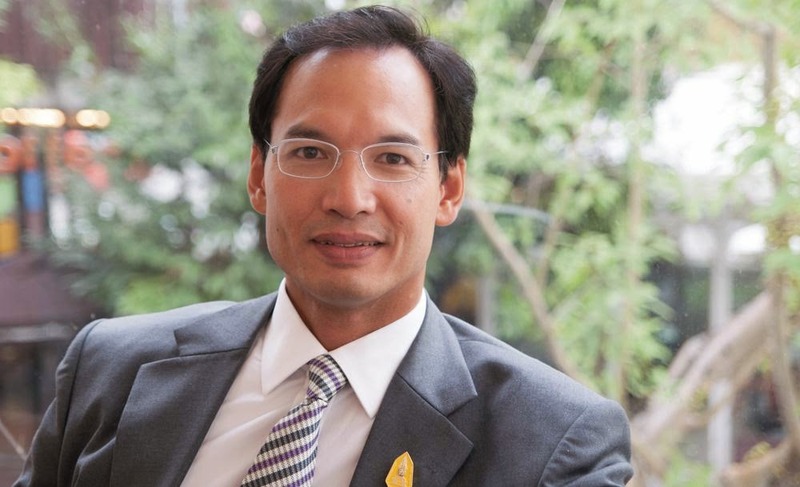 It’s going to be former Thai Finance Minister Korn Chatikavanij. According to Dr. Warong, Mr. Abhisit and Mr. Korn were both graduates of Saint John’s College, University of Oxford. To get to know more of him, I recommend you Google his name. You’ll be amazed of his achievements both local and international. Quite a lot, in fact! When Dr. Warong planned and later proposed to the Democrat Party the project of teaching English to the poor kindergarten students in a temple school, it was Mr. Korn whom he asked for financial support. The project pushed through so it goes without saying that he clicked the “Like” button. Mr. Korn wasn’t able to come to Phitsanulok last month when Mr. Abhisit paid us a visit because of an important matter. But he will be here tomorrow. He is about to see the development of a project he helped build.